REIC - Korean-backed Tay Ho Tay Development Company has received a $200 million boost from the Korean Development Bank for its urban development Starlake in Hanoi. The funds will go into the project’s first phase, thus far totally invested in by Daewoo E&C. The Korean Development Bank’s (KDB) injection will enable Daewoo E&C to continue the project over the next two years and have its infrastructure system up and working immediately after getting land clearance from the Hanoi People’s Committee. As well as infrastructure, the funds will go toward starting construction on the villa and housing complex expected to start in 2014. The KDB made the financial commitment after a seminar in Korea last year aimed at attracting loans for the project. KDB is a major stake holder in Daewoo E&C with more than 50 per cent and is also responsible for mobilising capital for the group’s projects. According to Tay Ho Tay, the company has already invested more than $94 million into land clearance and compensation and nearly 80 per cent of the land needed for the first phase has been cleared. Starlake has been in stasis since a ceremonial groundbreaking in January last year for several reasons. Hanoi’s People’s Committee has actively pushed local departments to expedite land clearance and other regulatory processes and has set a goal to finalise all within this year. 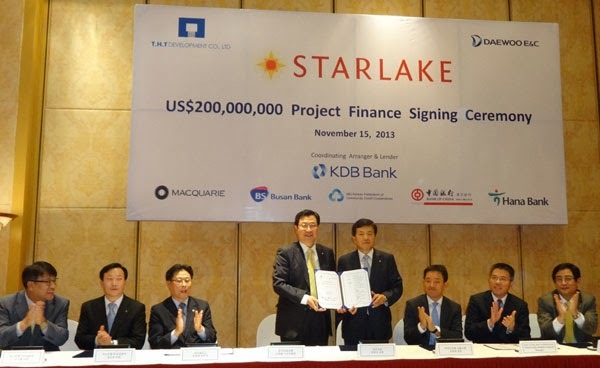 Starlake would have a total investment of around $2.5 billion and is planned to be a modern, environmentally-friendly urban area by 2019 with 25,000 residents. The project will include a promenade, parks, trees and lakes alongside the more traditional urban structures, as well as 25 hectares of open space devoted to public service activities and a headquarters building. 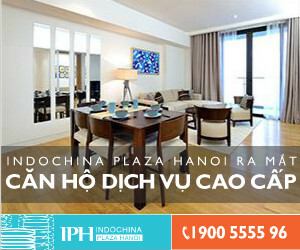 The developer hopes it will be a cultural hub and an international commercial and financial centre that follows the orientations of Hanoi’s master plan to 2030 with a vision to 2050 as ratified by the prime minister in 2011. The project spans Tay Ho, Cau Giay and Tu Liem districts and joins up with the diplomatic area in the north with road linkages to the city’s spacious main arteries. Starlake also plans to link up with a range of other key projects in Hanoi such as the road connecting the Nhat Tan bridge and Noi Bai Airport, the expansion of the airport, and ring roads 1, 2 and 3. The project’s entertainment and retail businesses are expected to promote cultural exchange between Vietnam and Korea and its office facilities will house companies from both countries.